Liam Cavanaugh, the scandalous Earl of Wolford, is startled when he awakens in an unfamiliar bed, wrapped in bandages that hinder his eyesight, with no memory of why he was beaten half to death. Although he can't see the witty young woman who tends to his wounds, her alluring voice—and a single stolen kiss from her soft lips—help soothe his pain. But when he is fully healed, Liam is not ready to let go of the one woman who stirs his deepest longings. 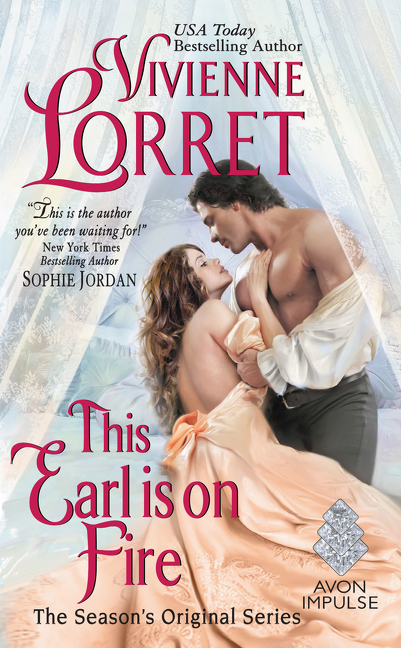 Read my five-plus-starred review of This Earl is on Fire. 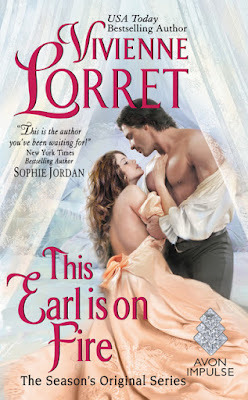 Follow the This Earl is on Fire blog tour. Add This Earl is on Fire on Goodreads. Find the Season's Original series on Goodreads. USA Today bestselling author Vivienne Lorret loves romance novels, her pink laptop, her husband, and her two sons (not necessarily in that order … but there are days). 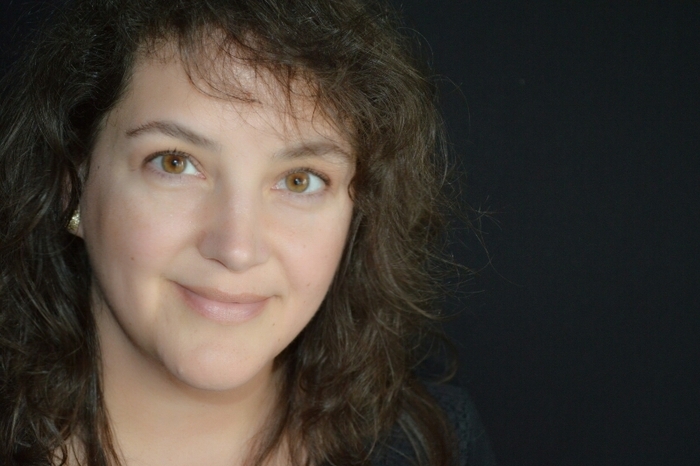 Transforming copious amounts of tea into words, she is an Avon Impulse author of works including: Tempting Mr. Weatherstone, The Wallflower Wedding series, The Rakes of Fallow Hall series, The Duke’s Christmas Wish, and the Season’s Original series.